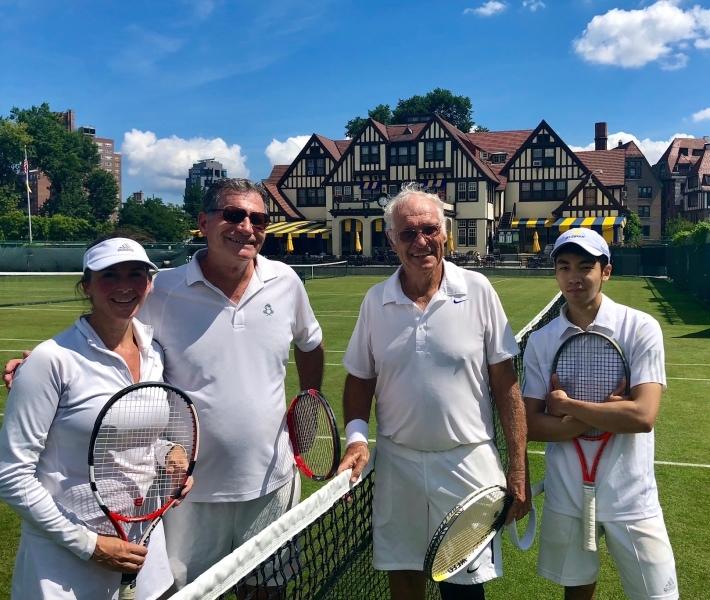 FOREST HILLS, N.Y. - For the fifth year, USIC members James Wilson and Joe Dippell hosted IC day on the historic grass courts at the West Side Tennis Club. 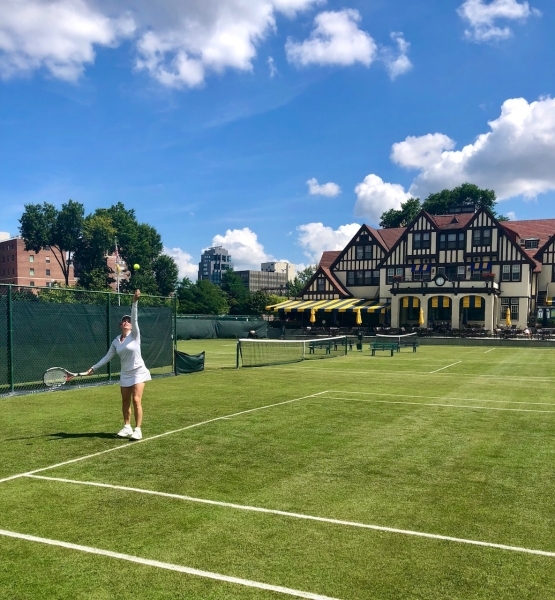 The famed club was the site of the US Open from 1915 to 1920 and following the construction of Forest Hills Stadium on its grounds, from 1924 to 1977. 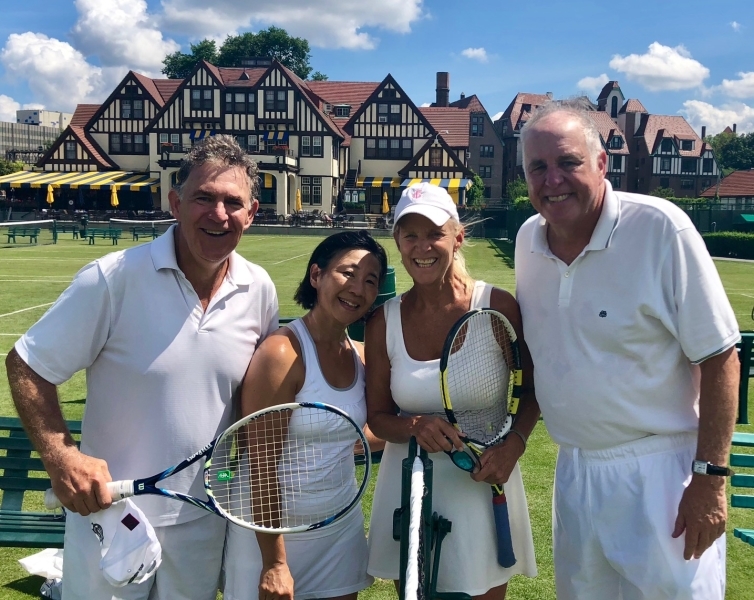 An enthusiastic showing of USIC members all played doubles including: Judy Aydelott, Connie Jones, Erin Ortiz, Akiko Tohmatsu, Robb Bunnen, Ralph Nappi, John Nicholson, Les Nicholson, Daniel Redlinger, Richey Reneberg, Jeffrey Snow, Don Tansey, David Tyree and Dave Wendt. 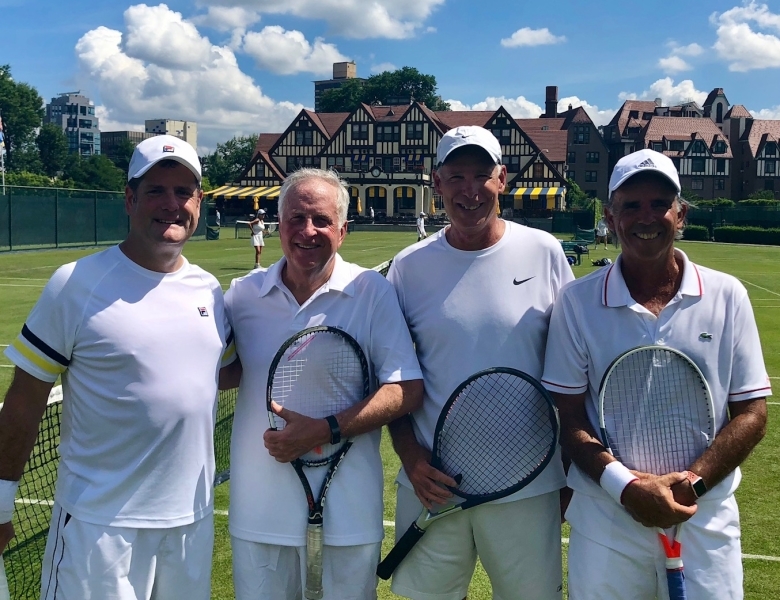 A relaxing luncheon preceded the USIC Annual Meeting of Members and Board of Directors meetings.